Universal LED bike light that attaches anywhere in seconds with no tools required! 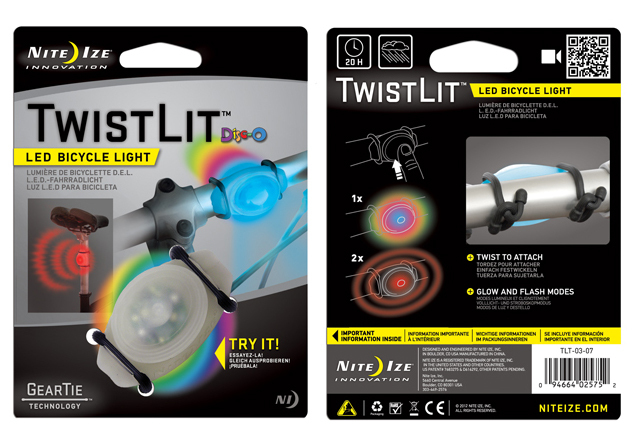 With a quick turn of the wrist, the versatile, visible Nite Ize TwistLit attaches to anything on wheels, making it easy to spot in every kind of light. Featuring a long-lasting LED module encased in specially formed housings, the TwistLit is designed with a curved back that rests snugly against the round surfaces on your bike or scooter. 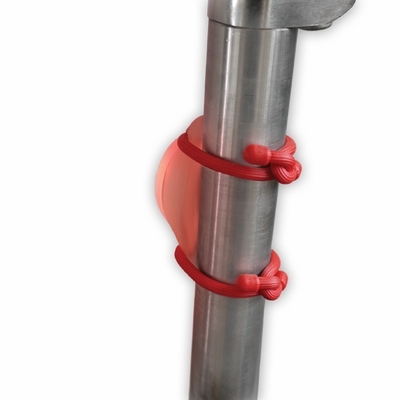 Grooves on each side hold sturdy, flexible rubber Gear Ties in place - with ends to wrap through, over, around, or under the front and rear of bicycle handle bars, seat posts or racks of nearly any size. Twist closed, and you're done. 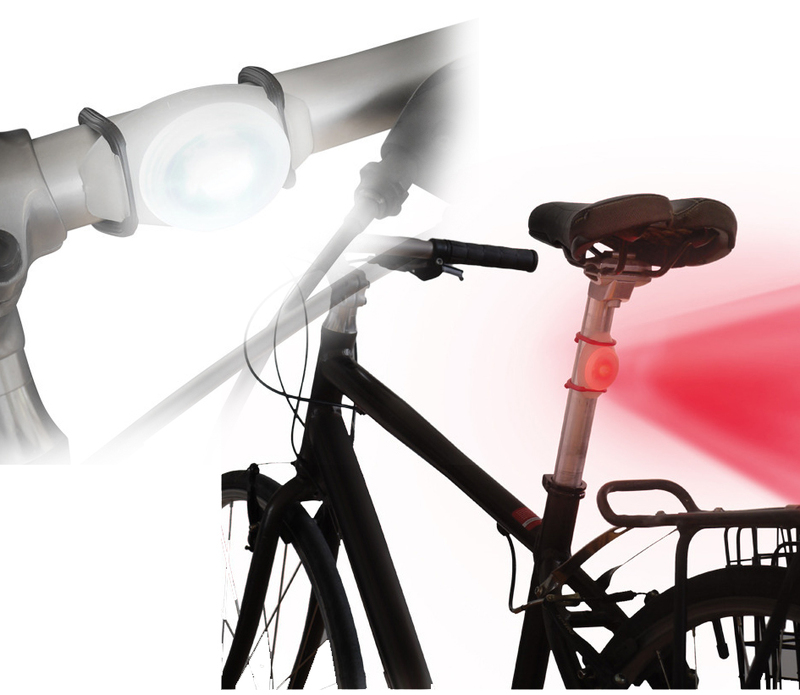 The bright, long-lasting, battery-powered LED is activated with a simple push of a button--white in front illuminates your path and tells people you're heading their way, red clearly marks the rear wheel and signals your orientation to other commuters. 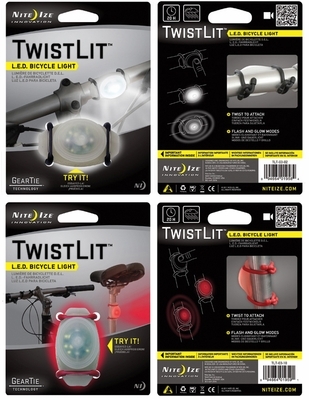 Endlessly versatile, secure, and easy to reposition, the TwistLit is perfect for bikes, scooters, jogging strollers-anything on wheels you want people to see. 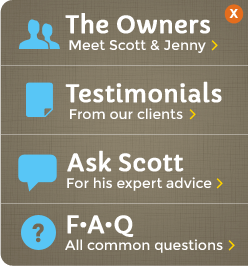 Easy to attach and detach - no tools required! Gear Tie Technology - Tough rubber shell provides excellent grip anywhere on your bicycle, but won't scratch or mark.